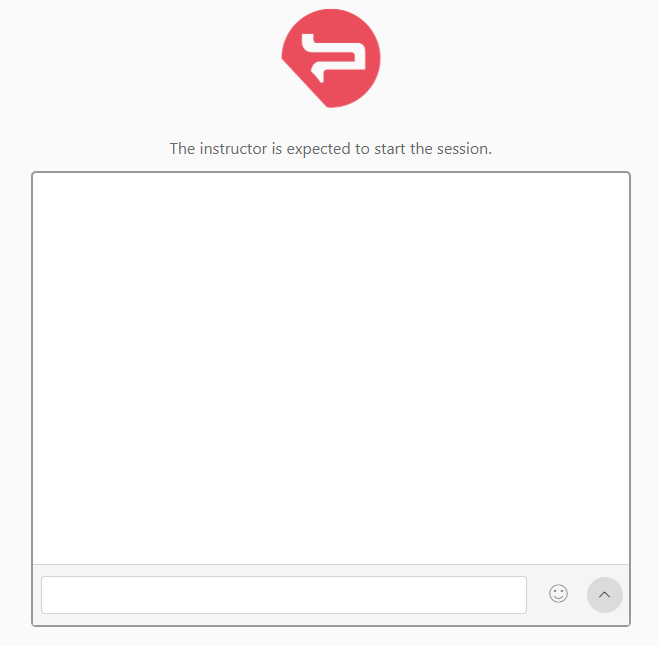 When the session is not yet active, the “Start the session” button appears on the top right. 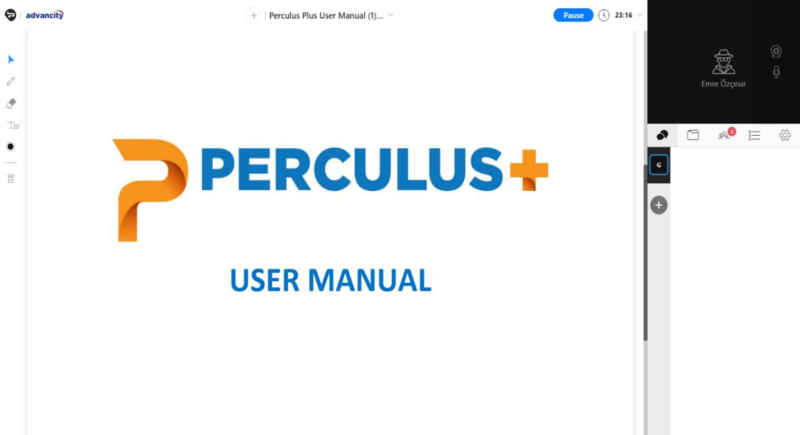 When the instructor starts the session, the attendees (users except for administrators and instructors) who are waiting in the lobby are allowed in, and they see the same interface the instructor sees. 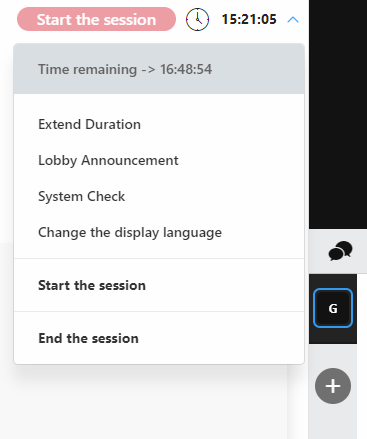 On the right of the “Start the session” button, the session time is displayed. 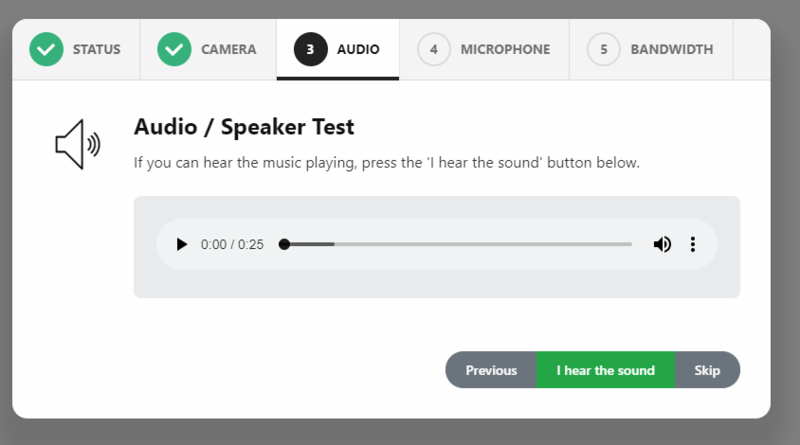 Instructors can enter the class 15 minutes (this may change depending on the configuration) before the start time so that they can get prepared, upload a presentation and test their camera and microphone. The attendees (users except for administrators and instructors) see the chat panel below before the session is started. 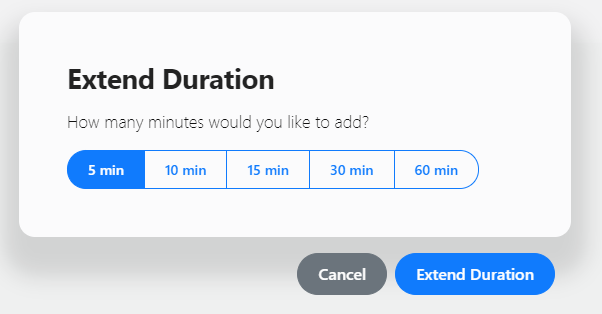 You can add up to 60 minutes to the session duration. This form can be used to publish an announcement which is displayed in the lobby. The lobby is shown before the session is started and during session breaks. 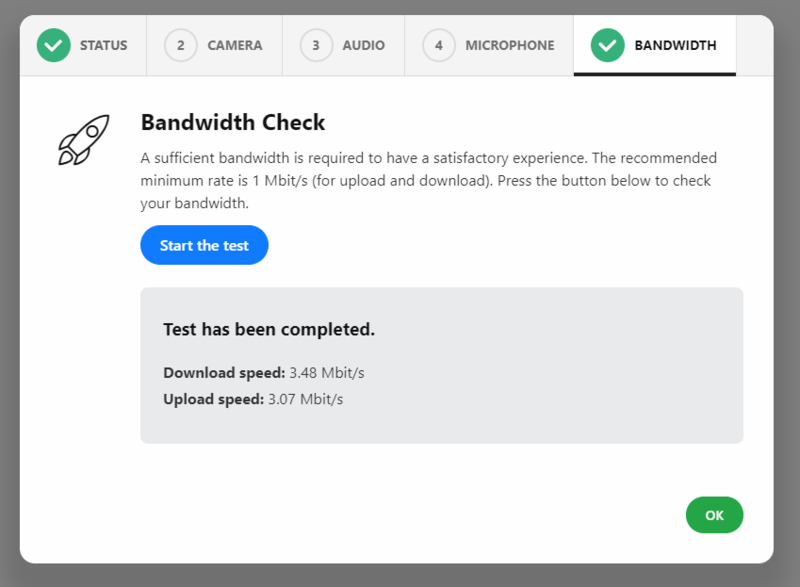 Before starting the session, it’s a good practice to test camera, microphone, and bandwidth capacity. You can start the session by pressing “Start the session” button or the link in the menu. 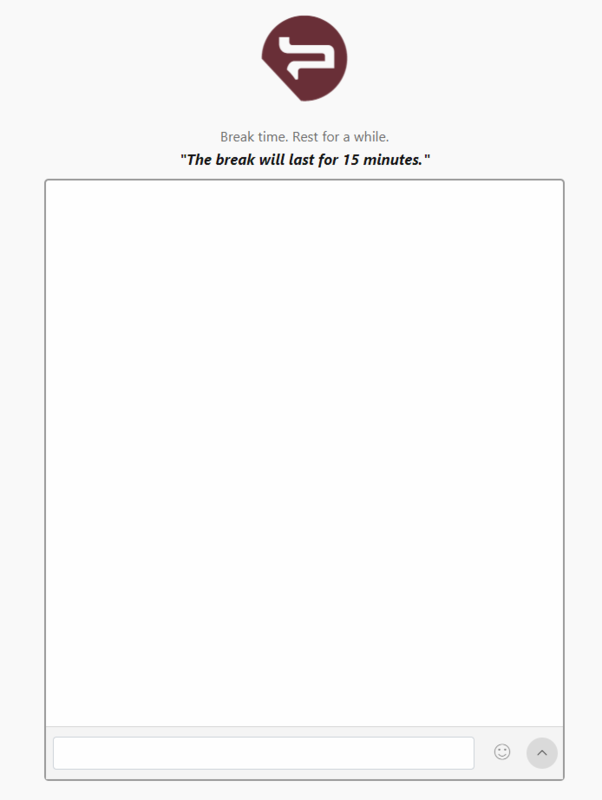 To give a break in a started session, you need to press “Give Break” button or link in the menu. After pressing the button or the link, the following dialog is opened. 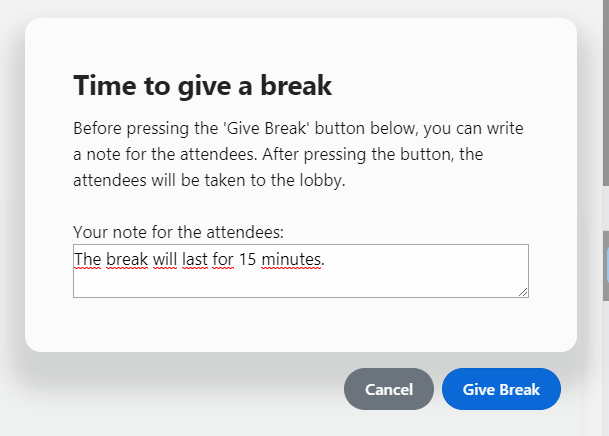 By pressing the “Give Break” button, the attendees except for admins are taken to the lobby where there is a chat box for attendees to message with each other. To end a session, you can press “End the session” link in the menu. After session is ended, it is automatically prepared to be replayed if it’s configured so. Up to 1 hour, the session can be replayed by the attendees. 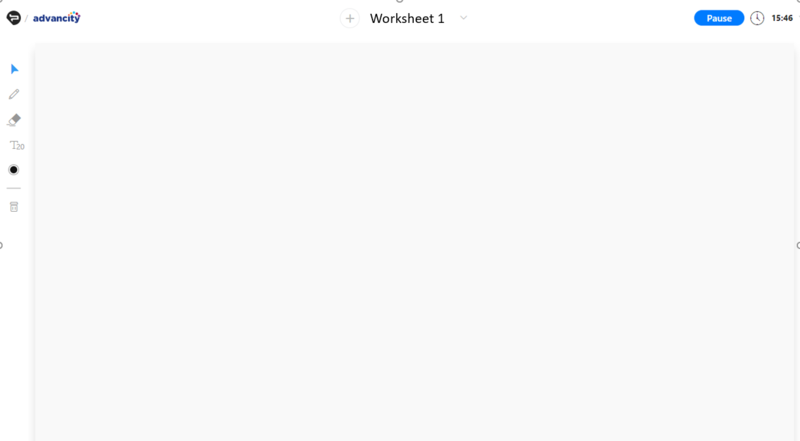 Clicking the + button on the top center of the screen and selecting the whiteboard tool, drawing and text tools appear on the left, and an area with a light gray background also appears. Pencil , eraser , text , color selection and trash tools appear in the left menu. These tools can be used on the whiteboard. 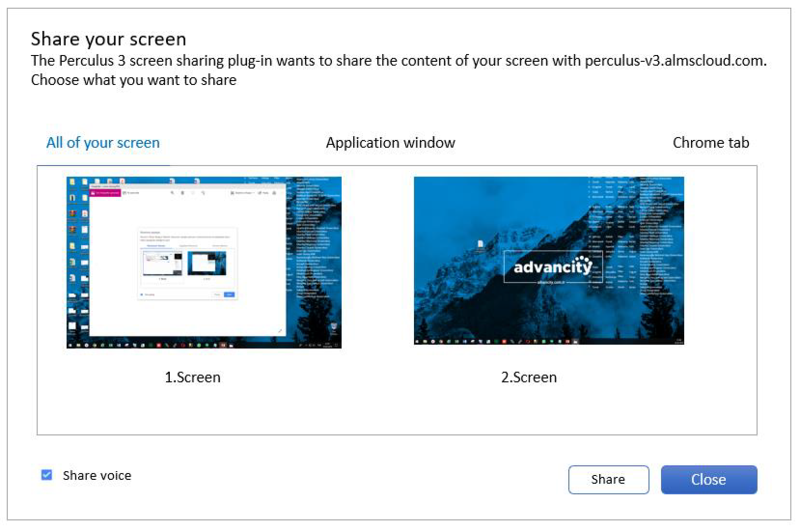 Clicking on the + button on the top center of the screen and selecting “Upload Document” opens a window to upload documents and videos from your device. Only files in pdf, jpeg, png, mp4 (video), and mp3 (audio) formats can be uploaded. Therefore, if you want to share an MS Office document, first you need to convert it to PDF. 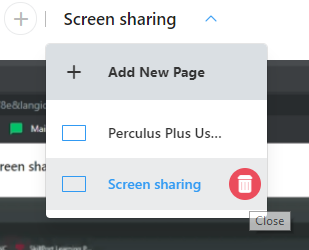 Clicking the + button on the top center of the screen and selecting “Screen Sharing” item will bring up the screen sharing window. The camera and the microphone section is located on the top right of the screen. Clicking on the icon in this black frame turns the camera and the microphone on. If only audio is to be shared, then the icon should be clicked. 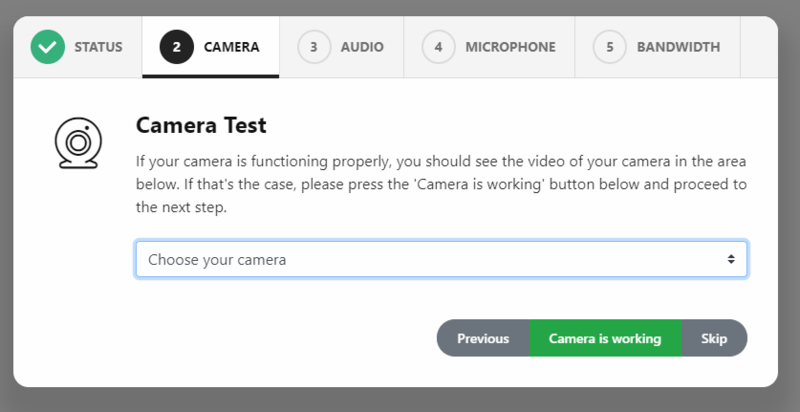 If there are more than one camera or microphone connected to the device, default camera and microphone can be changed from the System Check section. 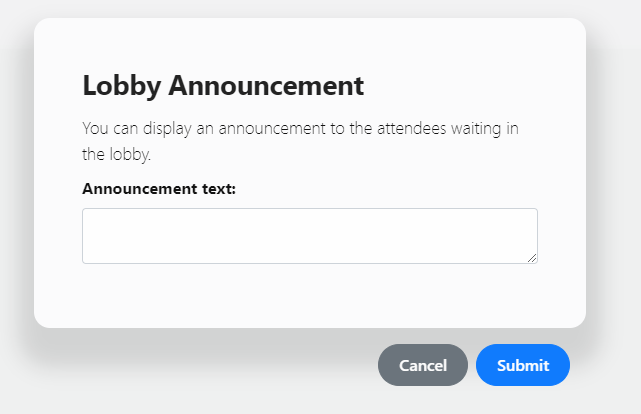 To open other attendee’s camera or microphone, the attendee list should be displayed with the icon and the name of the attendee from the list should be selected. 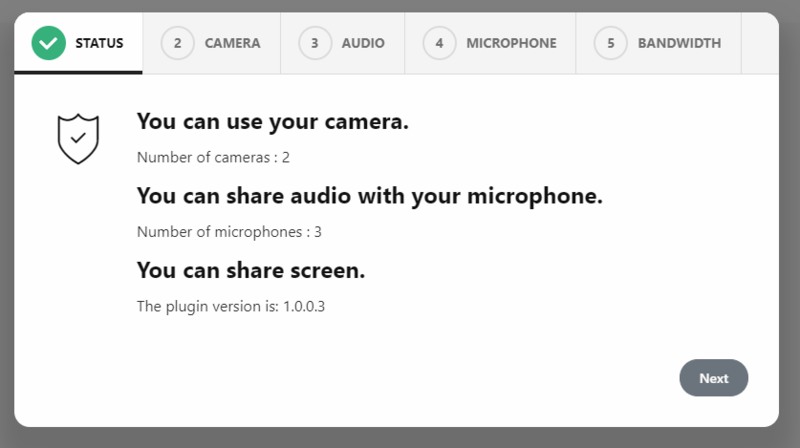 Then, camera or microphone icon should be clicked. Attendees except administrators and instructors cannot live stream, but they can end their own live stream. Also, whenever an instructor or administrator wants to open an attendee’s camera or microphone, attendee’s camera or microphone gets active after he/she consents to the request. New chat tabs can be added through this icon to initiate private messaging with other attendees. The files panel can be displayed by clicking the icon below the camera section. 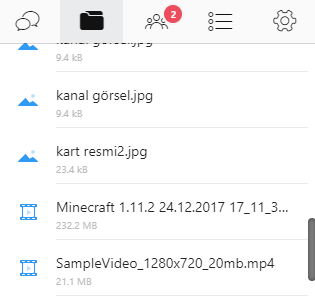 Uploaded files are listed in this section. You can search files, upload new ones and create new folders by clicking the buttons above , , . To allow a user to share content, to turn his/her camera or microphone on, first click the attendee’s name on the list and then the appropriate icon below. “Sharing” button should be clicked to authorize the attendee. When the attendee accepts the authorization request, he/she can start sharing. To post a question to the attendees during the session, click the icon below the Camera section. To post a new question, click the icon . • Multiple choices, single answer: Attendees can select only one option. • Multiple choices, multiple answers: Attendees can select more than one option. • Short answer: Attendees write their answers in a textbox. By clicking ‘Add answer option’, you can add more options to the question. After clicking ‘Show correct option selection’, you can select the correct response or responses for a multiple choice question. ‘Add a Picture’: a picture can be added on top of the question by clicking this button. 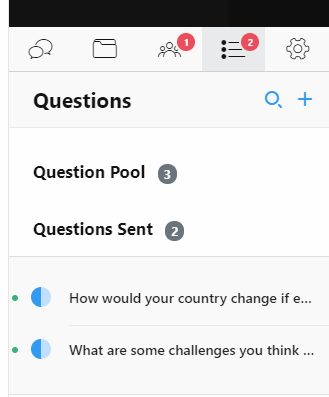 Newly created and/or unpublished (published questions can be unpublished) questions appear under ‘Question Pool’. To publish a question, click on it and then press the ‘Publish’ button. Unpublished questions, that is Question Pool can only be seen and accessed by administrators and instructors. 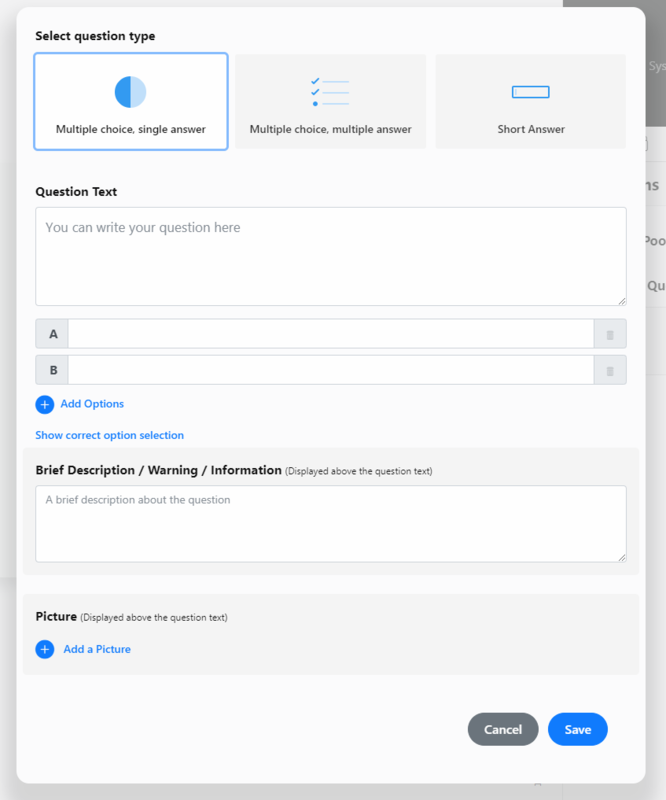 From the ‘Questions Sent’ section, published questions can be monitored and previewed. 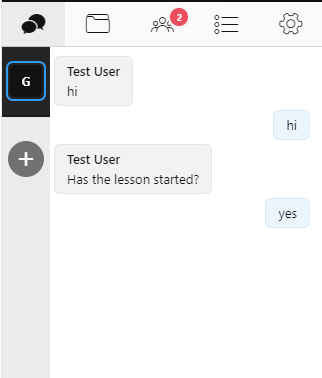 In the preview section which is opened by clicking on the icon on the top right, the response report of that question can be displayed. All settings are available and changed under the Settings tab. To open it, click the icon below the camera image. Block all message traffic: All messaging is blocked. Block public messaging: Only private messaging is allowed; the public messaging tab cannot be used. Block private messaging, Block sending private messages to admins, Block private messaging for users: These three settings should be considered together. Mute sound on a new message: When the chat tab is not visible, a notification sound is played. To turn this feature off, check this option. Clear the messaging history and delete all message contents when the session is finished: The message history will be deleted when the session is finished and will not be displayed in playback. 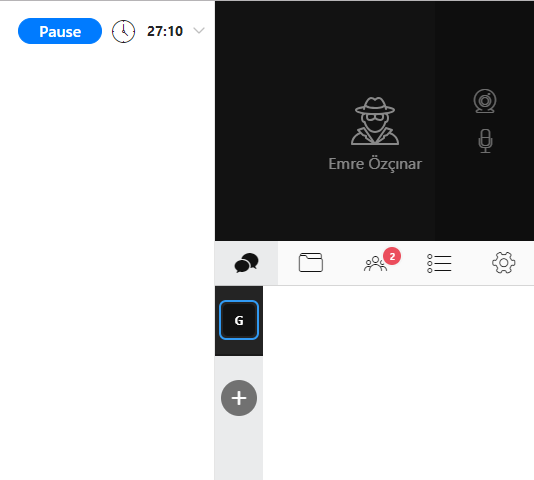 Delete messaging history now: Messaging history is deleted during the live session. Download all messaging: Messages are downloaded to your device. The messaging history can only be downloaded during the live session.